"House of Cards" will conclude after its sixth season, which is currently filming, a source close to production tells CNN. The announcement comes less than one day after star Kevin Spacey was accused of sexual misconduct by an actor who says he was a minor at the time of the alleged incident. The decision to end the show and the allegations facing Spacey were "two separate things," according to the source. Two sources close to the show told CNN that the production team was told months prior to filming that the sixth season would be its last. Netflix did not offer an official statement on the show's cancellation when contacted by CNN. The company did, however, address the allegations in a joint statement with Media Rights Capital, which produces the series. "Media Rights Capital and Netflix are deeply troubled by last night's news concerning Kevin Spacey," the statement said. "In response to last night's revelations, executives from both of our companies arrived in Baltimore this afternoon to meet with our cast and crew to ensure that they continue to feel safe and supported. As previously scheduled, Kevin Spacey is not working on set at this time." Spacey's work on the series has also earned him five Emmy nominations for outstanding actor in a drama. On the show, Spacey plays an amoral politician who ascends to the White House through troubling means. Filming on Season 6 of "House of Cards" started about two weeks ago in the Baltimore area, according to a spokesperson for the Maryland Department of Commerce. 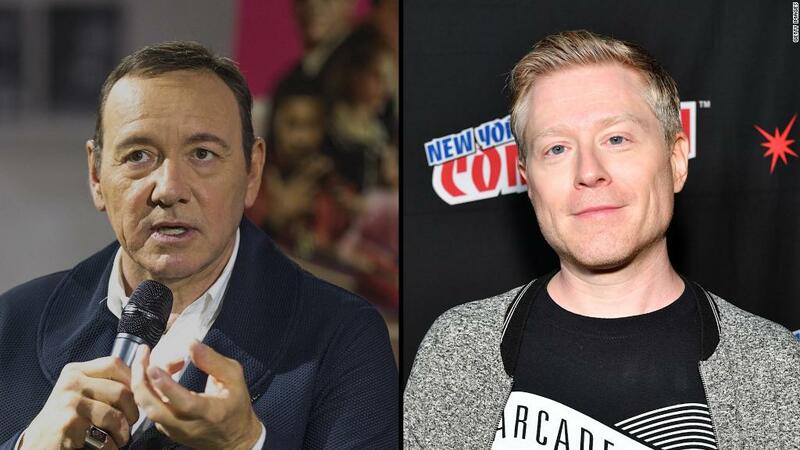 On Sunday, actor Anthony Rapp told BuzzFeed about an alleged encounter with Spacey at a party in 1986, during which Spacey made a sexual advance toward the then 14-year-old Rapp. Spacey issued a statement late Sunday, claiming he did not recall the incident but apologized for what he said would have been "inappropriate drunken behavior." Prior to news of the show's end, "House of Cards" creator Beau Willimon issued a statement calling Rapp's accusations "deeply troubling." "During the time I worked with Kevin Spacey on 'House of Cards,' I neither witnessed nor was aware of any inappropriate behavior on set or off," he said. "That said, I take reports of such behavior seriously and this is no exception. I feel for Mr. Rapp and I support his courage." Spacey is the latest figure in entertainment to face allegations of sexual misconduct in what some are calling a new era in the industry -- one where long-silent victims of sexual assault and harassment feel emboldened to share their accounts. The allegations made against movie executive Harvey Weinstein, detailed in stories by The New York Times and The New Yorker, are seen as a turning point. To date, Harvey Weinstein has been accused of sexual harassment or assault by more than 60 women. He has denied the allegations of sexual assault. Following the initial report by the New York Times, he apologized for the way he "behaved with colleagues in the past." The accusation against Spacey, a two-time Oscar winner, comes as entertainment organizations seek ways to address sexual misconduct in the industry. Weinstein was expelled from the Academy of Motion Picture Arts and Sciences earlier this month, and the organization said it intends to "establish a new code of conduct" for its members, according to a memo Academy CEO Dawn Hudson sent to members. "We believe our Academy has a role to play in fostering a safe and respectful atmosphere for the professionals who make motion pictures," the memo read in part. Spacey is next set to appear in Ridley Scott's "All the Money in the World." The film is set to be the closing night film for AFI Fest, taking place November 9-16 in Los Angeles. A spokesperson for the festival tells CNN that plan remains in place. "Our programming is locked and there will not be any changes to our film schedule," the spokesperson said in a statement. The film is based on the 1973 abduction of John Paul Getty III. Spacey plays Getty's billionaire grandfather. Charlie Plummer, Michelle Williams and Mark Wahlberg also star.